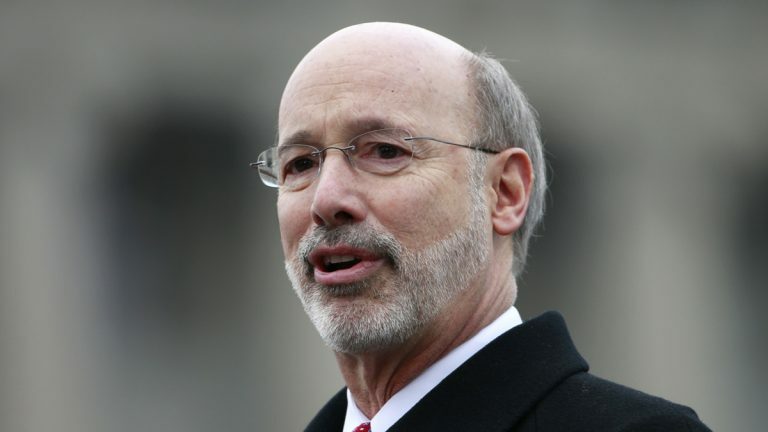 Governor Tom Wolf is pledging his support for medical marijuana, renewing a promise he made during his campaign. Advocates for medical cannabis were invited up to the governor’s office Tuesday following a press conference on the reintroduction of a bill to let doctors prescribe such treatment in Pennsylvania. “I didn’t mean to interrupt,” said Wolf as he entered the room, midway through lawmakers’ remarks to reporters. Parents lined up to take Wolf’s hand and tell him of the benefit medical marijuana would bring to their children. Wolf said he needed no convincing. “It pains me that anybody, any citizen of Pennsylvania is not getting the treatment he or she needs because of some … legal impediment that we put in its way,” said the governor. 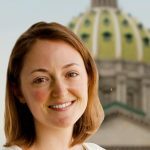 The impromptu grip-and-grin with Wolf was in stark contrast to advocates’ relationship with former Governor Tom Corbett, who granted a meeting last year only after medical marijuana advocates threatened a sit-in outside his office. “Never before have we been just welcomed in droves as we came in here and just — open arms, open doors,” said Dana Ulrich, a Berks County mother who has been a frequent visitor to the Capitol to push for medical marijuana. She says the treatment could help her seven-year-old daughter’s severe seizures. This year, Ulrich said, lawmakers seem more receptive to the issue. A medical marijuana bill is being introduced in the state Senate, where it passed easily last year. Its chances aren’t so clear in the House, where GOP leaders are split on the plan. The medical community is also divided on the issue. The state’s major doctors group is calling for further study of medical marijuana. Sen. Daylin Leach (D-Montgomery) and Mike Folmer (R-Lebanon) dismissed suggestions that there’s been insufficient research on medical marijuana or its side effects. Folmer said he’d like to see Pennsylvania create model legislation for other states looking to legalize medical marijuana.